At bottom left corner, in brown ink, signed and dated "1505/AD"
On mount, at bottom left, collection mark of John Postle Heseltine; on mount, at bottom right, collection mark of Alain Delon. "It is indeed true," wrote Albrecht Dürer, "that art is omnipresent in nature, and the true artist is he who can bring it out." 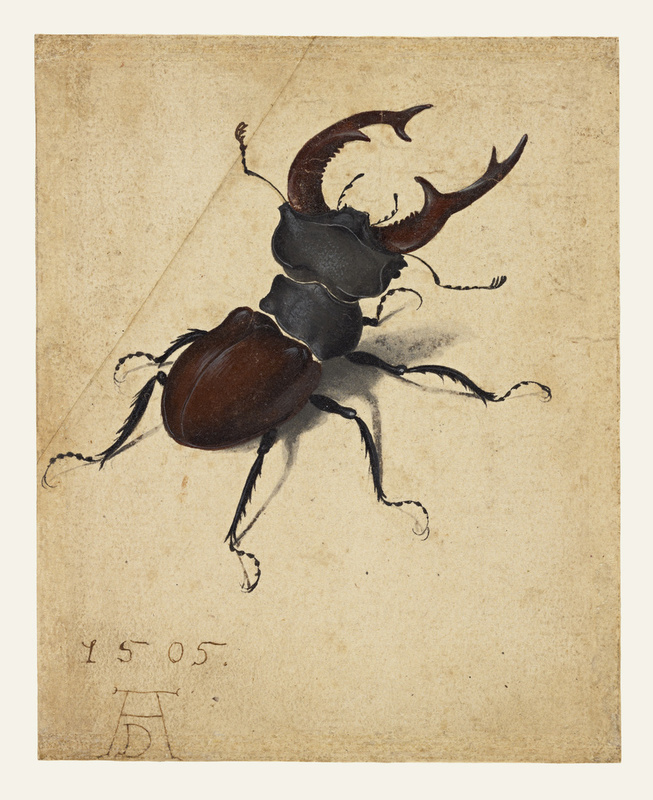 The Stag Beetle is one of Dürer's most influential and most copied nature studies. Singling out a beetle as the focal point of a work of art was unprecedented in 1505, when most of Dürer's contemporaries believed that insects were the lowest of creatures. Dürer's keen interest in nature, however, was a typical manifestation of the Renaissance. This beetle, rendered with such care and respect, seems almost heroic as he looms above the page. 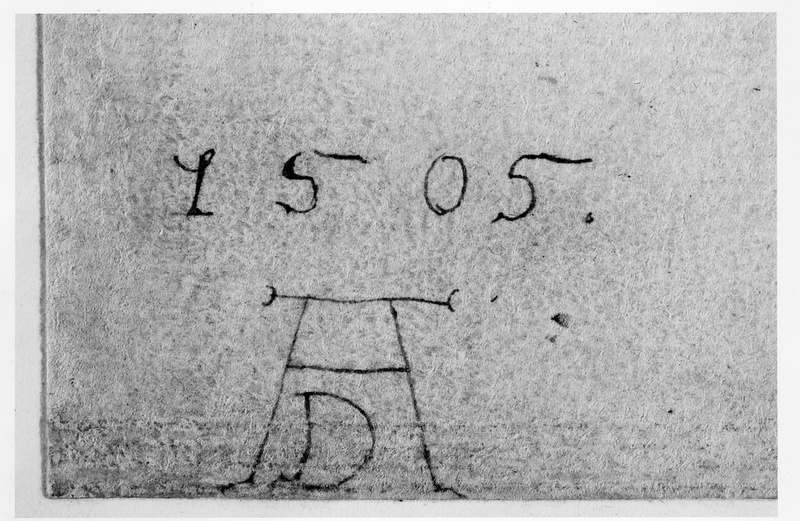 Dürer probably made this drawing in the studio, based on quick sketches from nature and memory. The level of finish shows that he considered it an independent work of art, not a preparatory study. He used bodycolor to show volume, as in the hard, convex outer wings. Transparent washes represent light effects, such as the shadow cast by the body, which the legs raise off the ground. Seen up close, the creature's legs and spiky mandibles suggest its kinship to imaginary beasts in late Gothic depictions of Hell or the temptation of Saint Anthony Abbott.